It has been stated that the Indigenous vote increased during the 2015 Canadian Federal Election. Prior to the election, various organizations and individuals expressed concern about the Fair Elections Act (2015), that it would create barriers for Indigenous voters amongst others. In response, the AFN and other First Nations leaders and activists encouraged Indigenous people to turn out for the Oct. 18, 2015 election in record numbers. Ashley Callingbull, who at the time became Mrs. Universe called on Aboriginal people to vote out Stephen Harper. Carrie Currie Hall who was a former Obama organizer in United States called upon indigenous people to Rock the Indigenous Vote. Well known author, rapper and Indigenous community leader Wab Kinew, encouraged people to vote noting he voted in every election since he was 18. From our own Indigenous Politics blog, we note that the Indigenous vote did increase based on an analysis of the Top 38 ridings, 13 of these ridings elected Liberals which helped form the Liberal government with Justin Trudeau as Prime Minister. Now that the election is over, there is optimism amongst Indigenous people and acknowledgement of the power of our vote. However, we must also review what was successful and where the electoral process can be improved for voters. In the Elections Canada report on the 42nd General Election, they note that they are aware of only the Siksika First Nation in Alberta ran out of ballots for 20 minutes (Page 28). There was a buzz on social media networks of numerous Aboriginal communities running out of ballots, we have two guest writers who are sharing their findings and recommendations on this blog. We appreciate their work to create awareness of these potential voting issues. The research and opinions expressed in the articles below are independent and represent the views of the author, we are happy to provide a venue to share this information. We understand that there was an increase in the Aboriginal vote; we will better understand that increase when the poll-by-poll results are released this spring. It is important to bring to light any challenges and barriers that existed that may have prevented or delayed Indigenous people from voting. Hopefully the findings and recommendations of these articles will lead to action to ensure that such barriers are removed as we head towards the next federal election. Voting is one of the most important democratic tools we have in this country. Every four years we select the incoming government and have the chance to shape the future of our country. Canadian politics – particularly federal politics – is a passion of mine. Although I voted in the previous two federal elections, I followed this past election more closely. But federal politics mean something different to many Aboriginal people. 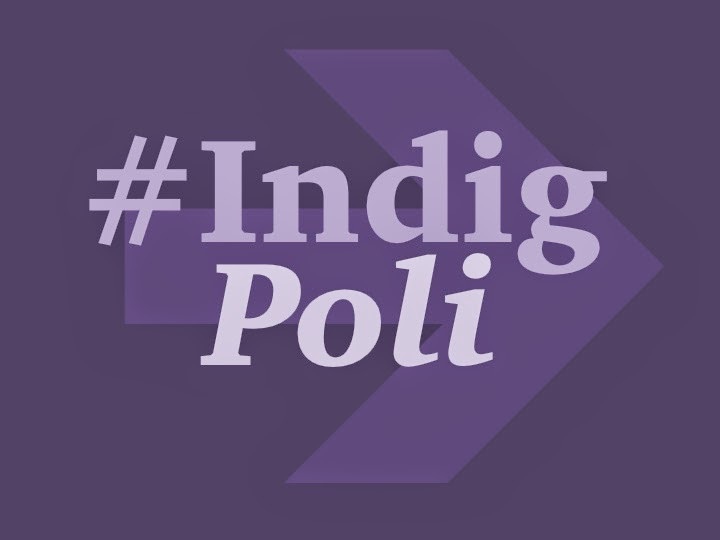 Many choose not to engage with federal politics because of a “lack of meaningful Indigenous contributions to the Canadian political system and party politics”. From Canada’s colonial past, genocide and centuries of discrimination by citizens and governments and abusive social institutions even to the present, it’s no surprise many Aboriginal people have a contentious relationship with Canadian politics. This election was different. The AFN identified 51 ridings where the Indigenous vote could significantly affect election outcomes. Activist groups and Indigenous leaders made a strong effort to mobilize these communities to increase voter turn-out and voter registration with “get out the vote” campaigns like Rock the Indigenous Vote. It appears October’s election saw exponentially higher voter turnouts in Aboriginal communities than many past elections. Higher engagement came despite – or perhaps because – recent changes to the “UnFair Elections Act” tightened identification restrictions particularly effecting Indigenous people. Band offices and other institutions held longer office-hours to facilitate voter registration drives to ensure everyone had the identification they needed to vote. Despite pre-election registration and education efforts, Indigenous people – particularly those living on a reserve – faced significant challenges casting their ballots. With so many Aboriginal communities facing resistance we need to ask: was it intentional? Was it preventable? Reports of ballot shortages on reserves and in Aboriginal communities surfaced on October 19th. According to several media reports, eight First Nations ran out of ballots, including: Siksika Nation, Onigaming First Nation, Split Lake First Nation, Shoal Lake 40 First Nation, Big River First Nation, Moose Cree First Nation, One Arrow First Nation, and Beardy’s & Okemasis First Nations. In addition, I located at least three more First Nations communities that ran out of ballots: Lac La Croix First Nation, Wauzhushk Onigum First Nation, and Little Pine First Nation. Lac La Croix First Nation in Ontario’s Kenora riding was down to 5 ballots around 3:00pm on October 19th. Cory Sky, Deputy Returning Officer for Thunderbay—Rainy River, was surprised his reserve was only given 75 ballots with over 60 registered voters. Sky said he promptly contacted Electoral official Robert Burns and was told to make photocopies. At 3:30pm Sky received a confusing message from Burns to stop, “I stopped immediately and was told to call. I called him at 3:30 and was told to hold off and to call him every 15 minutes. I called at 3:45 – we’d already used 6 photocopied ballots – and he said just go ahead.” Burns faxed Sky at the local Band office and was told to make 50 photocopied ballots. Apart from the confusion, both Chief Norman Jordan and Cory Sky were pleased with a turnout of 100 up from 7 in 2011. Wauzhushk Onigum First Nation, in Kenora riding, also experienced a ballot shortage. “The concern was rectified by making a quick call to Elections Canada to put them on notice that Wauzhushk Onigum was going to be short on ballots,” said Chief Chris Skead, “the community received additional ballots.” Chief Skead also reported an instance of 1 spoiled, pre-marked ballot. A Saskatchewan Tribal Council member was informed of ballot shortages at Little Pine First Nation in the Battlefords—Lloydminster riding. A member from the Little Pine First Nation who wished to remain anonymous witnessed the ballot shortage, “I went to the community hall and was told that ballots had run out. Others were told they couldn’t vote and that they had to wait. They didn’t register and said they’d come back and walked out.” The source witnessed the call to Elections Canada to report the ballot shortage. With only a week’s notice prior to the election it is unclear whether Elections Canada staff was fully aware of the adaptation to allow for photocopied ballots. The confusion and delay at Lac La Croix polling station suggests at least some officials were not informed. Media reported on these shortages individually, but as far as I know there has been no national, comprehensive investigation into the full extent of Aboriginal people denied, or underhandedly prevented from exercising their democratic right to vote. It is unclear whether election results in these communities would be different had the staff been better prepared. The failure to account for the total number of Aboriginal communities effected by ballot shortages marginalizes this significant, disturbing democratic failure. Lauren Boothby is a post-secondary student and aspiring writer. She has a keen interest in Canadian politics, philosophy, art, Seinfeld, and cat memes. She's also addicted to twitter. 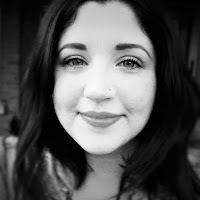 Follow @laurby & @CheekyPostca or visit her blog. Thank you to Robert Jago for his support and sponsorship of Lauren's article. 1. I met with the Kenora Returning Officer the Oct 14 to ask for updated number of eligible voters per First Nation. On August 19, he did read me the list of number of eligible voters as of that date. This time, I was told he had no time to give me that info. But he assured me that he will send the ballots as per number of eligible voters plus 10 to 20 extra. 2. The RO was skeptical that there would be full voter turnout out. He said: there might be 600 eligible voters in a community, but it doesn’t mean all 600 will vote. • Fort Hope had 304 eligible voters. On Oct 19, 306 people voted. Where were those extra ballots? They ran out and had to photocopy more ballots. The Chief confirmed they had to photocopy ballots. • Whitefish Bay had 283 eligible voters. On Oct 19, 180 people voted. A councillor confirmed they got permission from Elections Canada to photocopy more ballots when they ran out. Why didn’t the RO send 283 ballots? • Onigaming and Shoal Lake 40 both had more ballots delivered to the community. Chief of Onigaming and a Councillor of Shoal Lake 40 confirmed it. 4. Issue raised: in northern remote FNs, a medical appointment can be called at any moment when you are on the waiting list. Some patients and escorts weren’t able to vote when they got called they had a flight to get to a medical appointment. There were a couple of people that reached out to me that were in Tbay and being turned away from polling stations saying they had to vote in their own community. It was not their fault they were away from the community. Elections Canada should allow for special provisions in situations like this. • A friend in Big Trout Lake sent me a photo of his card directing him to vote in Wawakapewin Band Office. On August 19, I caught that error and told the RO that it was incorrect. He assured me it was correct and said he should call the band office in Big Trout Lake to confirm it. He never did. • Wawakapewin is so small, they never had a polling station. This year, the people in that community requested mail-in ballots. Thanks to the Band Manager that arranged it. • The RO had difficulty determining actually numbers of eligible voters in Whitefish Bay, Northwest Angle33 and Northwest Angle 37 as they are close together but are three distinct communities. The Grand Chief of Treaty 3, who lives in Whitefish Bay, had to vote in Northwest Angle 37. There was a polling station in Whitefish Bay but his voters’ card directed him to vote elsewhere. These poll results will be skewed. • More training for poll works – I received reports of late opening of a polling station and even closure of a polling station for a lunch break. One FN poll station didn’t report in on election night. The RO says the Sioux Lookout EC office failed to report one of the FN poll station poll results. • The federal government needs to enable Elections Canada to go out and do the work of registering voters. • Bring back the vouching system. The Oath is too limited. Tania Cameron was active in the 2015 Federal Election and former two term NDP candidate for the Kenora riding. 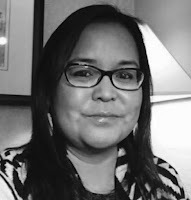 She initiated the First Nations Rock the Vote campaign (#FNRTV) encouraging First Nations voters to get registered and to vote. Tania created a get out the vote package and held numerous Voter ID clinics to ensure First Nations people were able to cast their votes. She shared her material nationally, including with this blog and has been acknowledged for her good work during the election. Joshua Fraser is the manager and main blogger for Indigenous Politics (#IndigPoli).